Once all the insulation has been installed and air sealing is completed, the building needs to be tested to make sure that it performs as designed. This step typically identifies areas where insulation has been missed, air sealing is insufficient, or mechanical systems are not functioning up to specs. A zero energy house scores 0 or below on the home energy rating system (HERS) scale. Most near zero energy homes get below HERS 20, which is excellent given that a conventional home built to code has a HERS score of 100. What does HERS rating mean? Testing for remodels and new construction is similar, with one exception. For a zero energy retrofit of an existing building, the place to start is with a computerized analysis of utility bills, which can help separate out the energy used for heating, cooling, water heating, and miscellaneous electrical loads. It is important to have the house tested before construction starts and then again when the home is finished. A blower door test puts the house under negative pressure to determine its relative airtightness and to locate specific points of air leakage. The blower door is a fan that exhausts air to a specific pressure inside, typically 50 pascals, the equivalent of 10 mph to 15 mph wind speed. The fan is positioned in an expandable frame that is sealed into an open door jamb. Used in conjunction with a smoke stick test, the blower-door test allows you to actually see when air is leaking. The test is best perform the dry wall is hung so remediation can take place where the air leakage is discovered. This is a critical step for zero energy homes. Conventional homes with high-powered HVAC equipment can get away with some air leakage. When a home is primarily heated with solar and equipment waste heat, airtightness becomes crucial. 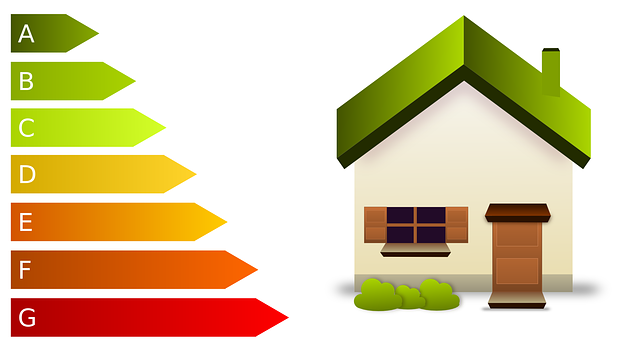 An energy audit is another important step in evaluating a home’s weak spots. An audit covers many things, including inspection of the attic, basement or crawl space, and walls to evaluate the quality of the insulation. This step, along with the Blower Door Test and the Infrared Camera Scan help ensure that the thermal barrier is intact. The water heater, furnace or boiler, and air-conditioner should all be inspected for efficiency. Testing the ducts with a duct blast, if applicable, determines the integrity of the duct connections. Many auditors are also able to perform a worst-case combustion air zone test to determine if appliances are venting properly (such as when all of the exhaust fans in the home are operating at the same time) to prevent back-drafting of carbon monoxide down flues. This test also identifies whether the HRV or ERV is functioning properly. A duct blaster test uses a device that pressurizes the ductwork and determines air leakage through pressure loss. If you are using ductwork for conditioned air, it needs to be airtight. EnergyStar requires less than 6% air leakage, which is a tough but obtainable standard. All joints in ductwork must be sealed with mastic to eliminate air leakage, and panned ducts should never be considered. (A panned duct is one in which a piece of sheet metal is screwed to the bottom of a joist to reduce sheet metal work.) Panned ducts trap moisture in the joist space and are always leaky. When you are dealing with subtle air flows in a zero energy home, it is critical to have air movement only where and when you want it. Air losses with heat-recovery ventilation can reduce the efficiency of the equipment. An audit should also include an inspection of the windows and doors in a home, both for airtightness and energy efficiency. On occasion, the expanding foam between the rough opening and the window can bind the frame so that it doesn’t open and close appropriately. Doors may have to be adjusted at the hinges to make sure they seal properly. This is where the smoke stick test comes in handy. An energy auditor will assess the efficiency of the lighting system, refrigerator, washing machine, freezer, and other appliances. Each appliance should be plugged into a watt meter to determine and record how much power is required to run it. The results will affect the size of the photovoltaic array required to meet the total load. Infrared Cameras (IRCs) allow you to look through walls and ceilings to check for missing insulation and locate air leaks. The IRC scan is best conducted when there is a temperature difference between inside and outside of at least 20°F. The greater the temperature differential, the more dramatic the photos.